Taking medicines regularly has now become a part of daily routine for many people. The basic reason behind growing addiction to medication is that patients go for easy and time saving solution for the treatment of their health problem. No matter how effective a medicine is, it can cause unwanted side effects. Apart from medication, there are many other pain management strategies that a patient can adopt depending on the condition, location and severity of the pain. Especially those patients who are suffering from back pain, sciatica, leg or hip pain can adopt a drug free approach for their treatment. Physical therapy can be an effective first step in treating many common sources of back pain. Cervical nerve root injuries are a common problem particularly in contact sports where they may be attributed to the ‘stinger’ or burner injury. The mechanism of injury is considered to be tensile or compressive forces acting on either the nerve root or brachial plexus. As a result of this type of injury, there can be partial or total loss of motor, sensory and autonomic functions of the damaged nerves. This means that this type of problem may present with varied symptomology. It is commonly thought that in nerve root lesion, the underlying problem is due to compressive forces acting on the nerve root through disc herniation or stenosis. Many of the muscles in the posterior thoracic and lumbar region of the spine are extensions of the posterior cervical muscles. The thoracic and lumbar areas also contain muscles that are unique to them and either affects the shoulder complex or work directly on the spine. Many of the deeper muscles have short moment arms so they are unable to provide significant motion but do work to stabilise the spine. The larger muscles that lie more distally from the spine’s axes of motions are responsible for producing spinal movement. Patients of low back pain who first consult a physical therapist rather than a primary care doctor receive natural treatment methods for their back pain problem. As a therapist look to treat the pain through exercises, stretches and provide drug free treatment. They make use of different back stretchers and traction devices. We at Spinal Backrack, we recommend the Backrack™ Device to relieve and prevent all forms of back pain safely at home. Backrack™ is patented, revolutionary product with unique concept and application in back care. It helps in reducing symptoms associated with a backache and other conditions like thoracic and cervical pain. It decompresses the spine, removing extra strain from it and relieving pain. Patients are directed to lie on the rack maintaining a central position keeping knees in a bent position. Backrack, in fact, mirrors the 3 curvatures of the vertebral column and thus back is fully supported. Hence it is the best non-invasive curative device to relieve back pain. BackRack is endorsed by world top spinal specialists and incorporating worldwide patent technology offered by Spinal Backrack. It is easy to use and doesn’t require any supervision. BackRack can go a long way towards relieving your back pain completely. It helps you stretch and realign your back if used properly. 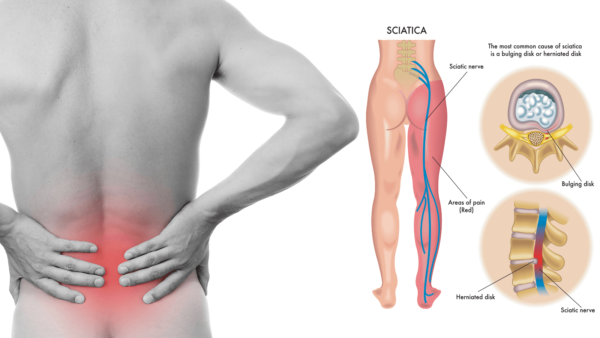 Start using Backrack™ now if you are a patient of sciatica or a pain that starts from lower back and moves through the leg. It gradually helps to decompress the sciatic nerve and bring it back to its original shape to provide pain relief. If you’re looking for a drug-free treatment for your back problem, Backrack™ is the best choice for you, as it eliminates or minimises the use of drug in the treatment of any kind of spinal problems. Whether it is cervical, thoracic or lumbar pain, Backrack™ targets the cause of problem rather than symptoms. Medication can only be beneficial for suppressing the discomfort of back pain problem but on the longer run, it’s not the real solution.